All registered participants will receive a link to each recording of the webinars. So even if you can’t make one or more webinars in the series, you will still be able to access all the learning. A national CERIC-funded study led by Dr Peter Dietsche and Jim Lees of PSE Information Systems sought to establish the importance that publicly funded universities and colleges place on the provision of career development services and to highlight particularly impressive models of career service provision across the country. Two research reports have now been published. The first report, Insight into Canadian Post-Secondary Career Service Models, outlines the characteristics of career services in Canadian colleges and universities, and of institutions with an impressive model of career service delivery. The recently released second report, Insight into Impressive Practices in Career Services: A Reference Guide, presents case profiles of 15 Canadian post-secondary institutions that have been recognized for their best practices in career services. This dynamic and highly interactive webinar series will be of interest to career services leadership and colleagues aspiring to leadership positions, as well as university and college senior administrators who wish to ensure high-quality and relevant career services. Join us to learn about the research findings and explore the key themes of the impressive models with Canada’s career centre leaders. In this introductory webinar, Dr Peter Dietsche will lay out the current landscape of career service models in Canada and discuss levels of institutional commitment to the provision of student career services. Dr Peter Dietsche recently retired as the Davis Chair in Community College Leadership at OISE/UT. His research has focused on the impact of policy and practice on student educational outcomes in Canadian and US colleges. Extensive collaboration with campus stakeholders is a hallmark of the most impressive career service models. Learn to increase collaboration both inside and outside of your institution, and how collaboration can best further student career development. Jan Basso is the AVP: Experiential Learning & Career Development at Wilfrid Laurier University, Past Chair of the CERIC Board and a recognized leader in the field of post-secondary career development. 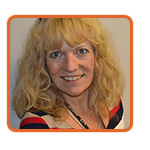 Vicky Chio is Co-ordinator, Learner Engagement and Employment at Bow Valley College. Her work in post-secondary education focuses on career services, learner engagement and student life. Christine Frigault has been Coordinator of Career Services at Mount Saint Vincent University for 16 years. She is an experienced career services leader and counsellor and is passionate about post-secondary student success and transition to employment. Career advising and counselling in the western world has developed a comprehensive system of theories and intervention strategies in its more than 100 years of history. In this webinar, find out the types of career interventions having the most success today. Caroline Konrad is Director of the Ryerson University Career Centre. She oversaw the restructuring to a 3-Pillar Model of Career Education, which received multiple national awards for innovation in career education for programming supporting students from diverse backgrounds, and for collaborative work to support organizations with inclusive graduate recruitment. 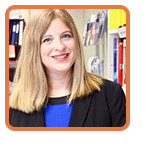 Lisa Rusal joined the ESES Fanshawe team in May 2014, with 14 years of experience in managerial roles within the employment services sector. Lisa’s strengths include her experience managing teams that are committed to client service excellence and program delivery. Tony Botelho is Director of Simon Fraser University Career and Volunteer Services and has been recognized for his work on the role of career education in the contemporary university environment. He is also quite a good triangle player. From novel programming approaches to innovations in location of service delivery, career services are experimenting with new ways to provide value to their students, institutions and other stakeholders. Learn what’s working and what’s not. Cathy Keates leads Queen’s Career Services and two of their recent projects – Major Maps and the national It All Adds Up campaign at 43 post-secondary career centres – have been recognized with CACEE Innovation awards. André Raymond is Director of Career Services at Laval University. He has more than 20 years’ experience in the fields of recruiting, education, and career management, having held positions as Manager and Vice-President. Laurie Edwards, BA, MPA, is the Manager of Student Advisers, Student Services for the Nova Scotia Community College. Laurie leads the College’s advising and diversity staff located in 13 NSCC student services campuses. The evaluation of career services is a critical component of impressive models for many reasons. Find out how your peers are establishing whether goals are achieved, clients are satisfied and services are delivered in an efficient and effective manner. Patsy Valenzuela has worked with youth and post-secondary students as a career development practitioner for over 20 years and is currently the Supervisor of Career Education and Employment Development at Mount Royal University Career Services. Tony Botelho is Director of Simon Fraser University’s Career and Volunteer Services and has been recognized for his work on the role of career education in the contemporary university environment. He is also quite a good triangle player. Felicity Morgan, Director, University of Toronto Mississauga Career Centre, and her team develop innovative and collaborative programming to build career management skills, with assessment as an integral part of the process.